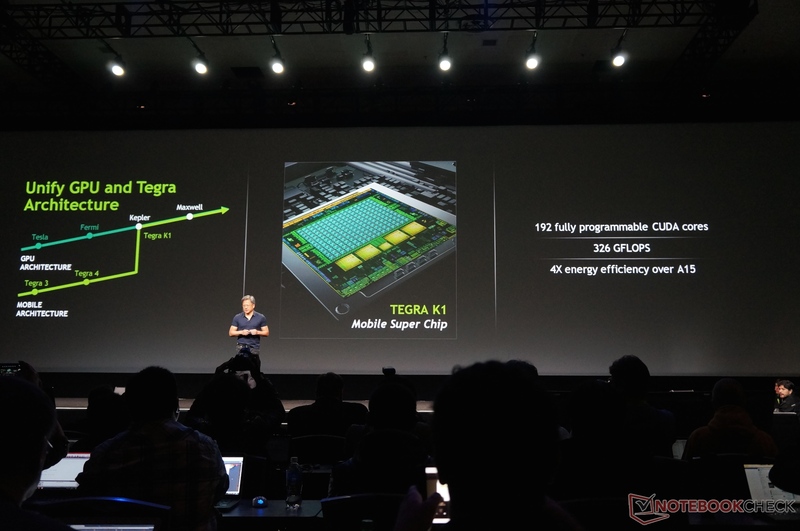 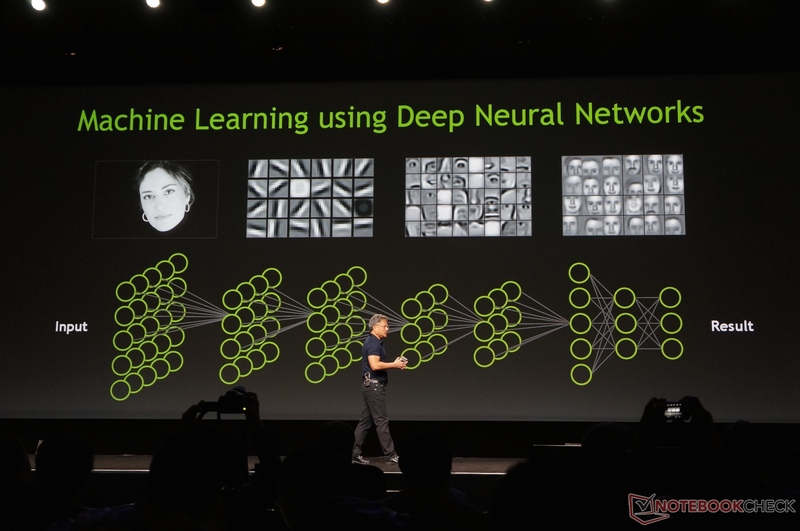 Our slideshow highlights the opening GTC 2014 keynote from Nvidia from the gargantuan $3000 Titan Z to the small Tegra K1 successor Erista and everything in between. 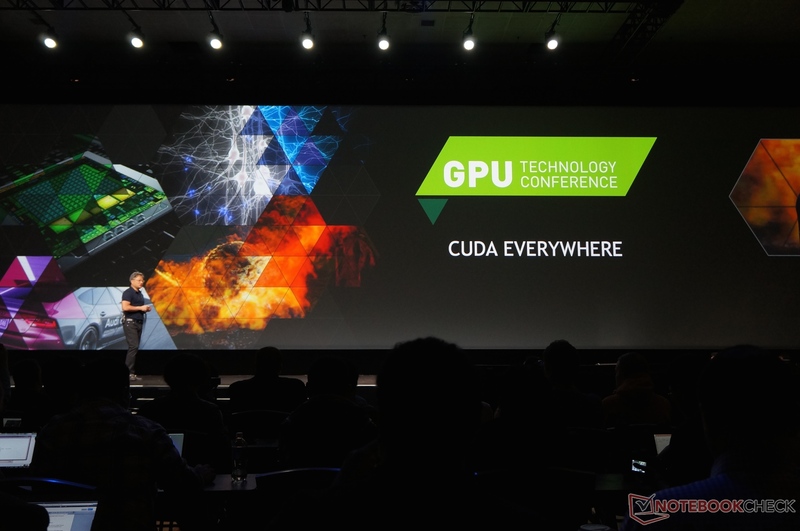 Jumping straight from GDC 2014 in San Francisco just last week, we land today further south of the state in San Jose just in time for GTC 2014 to see the opening keynote presentation from none other than NVIDIA CEO Jen-Hsun Huang. 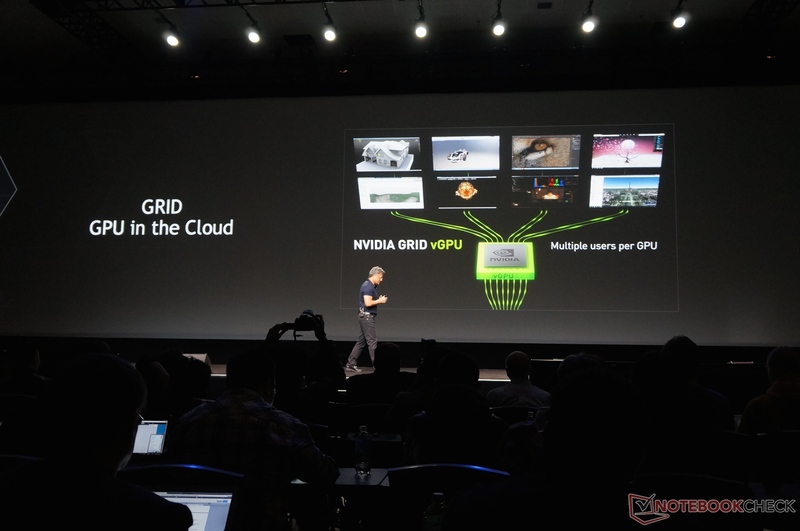 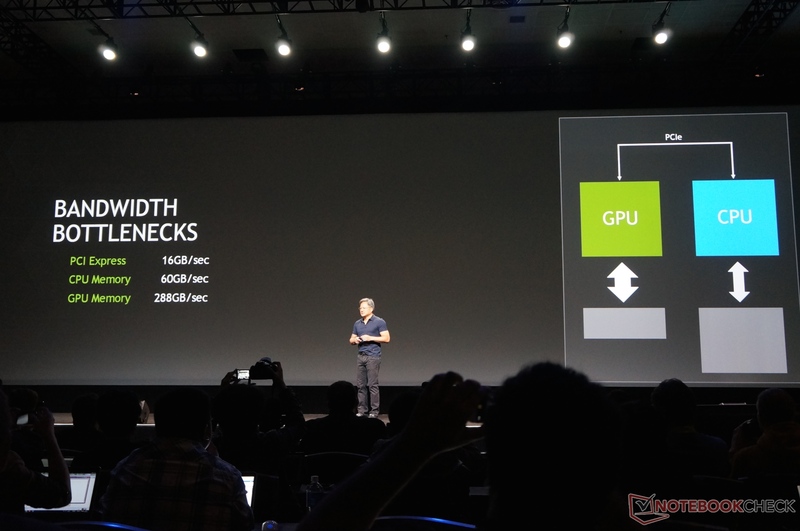 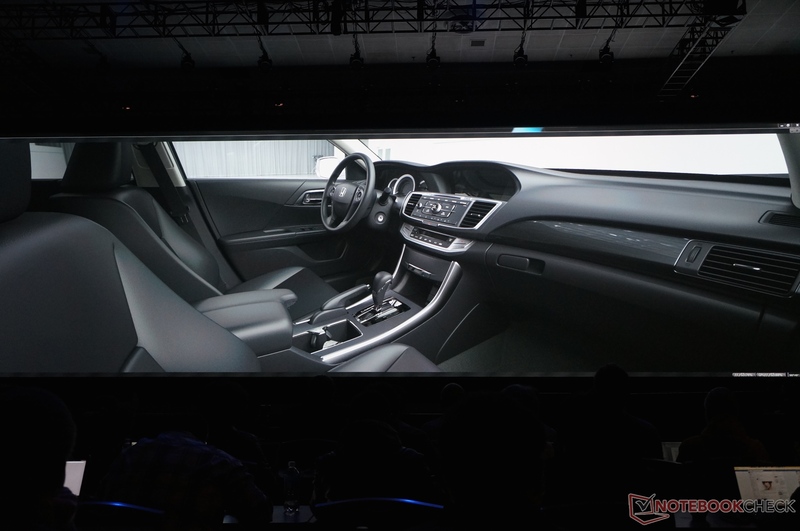 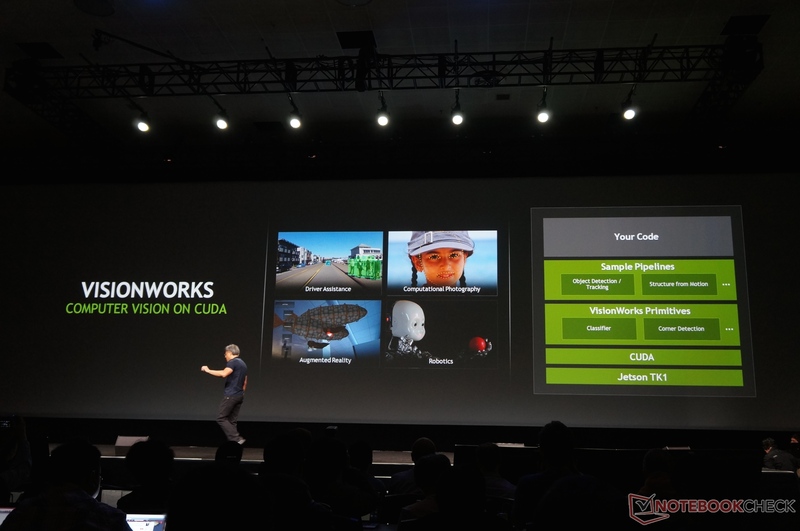 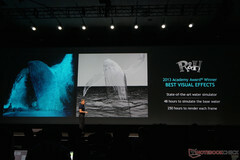 Among the highlights of the speech are bandwidth bottlenecks, 3D stacked RAM, Pascal, Machine Learning, IRAY VCA for photorealistic and near real-time rendering, GRID and the next generation of Tegra codenamed Erista. 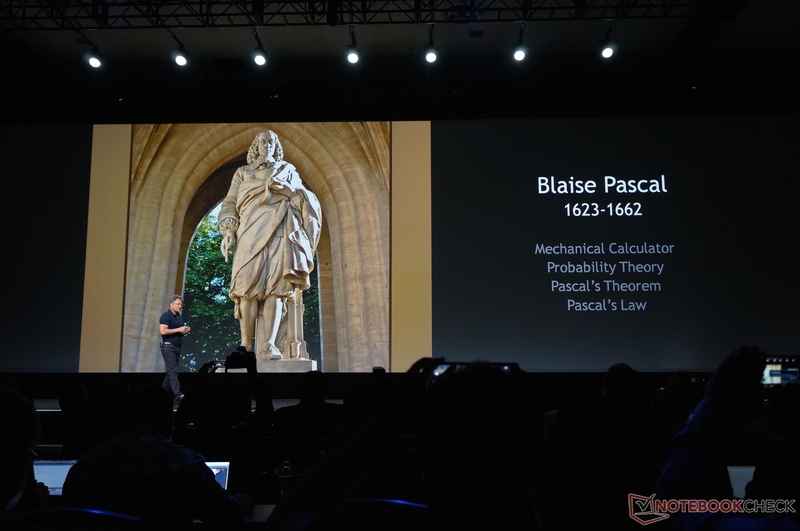 The next generation of GPUs to follow Maxwell is now Pascal, which will include NVLink to offer 5x to 12x PCIe speeds between CPU and GPU to combat bandwidth bottlenecks. 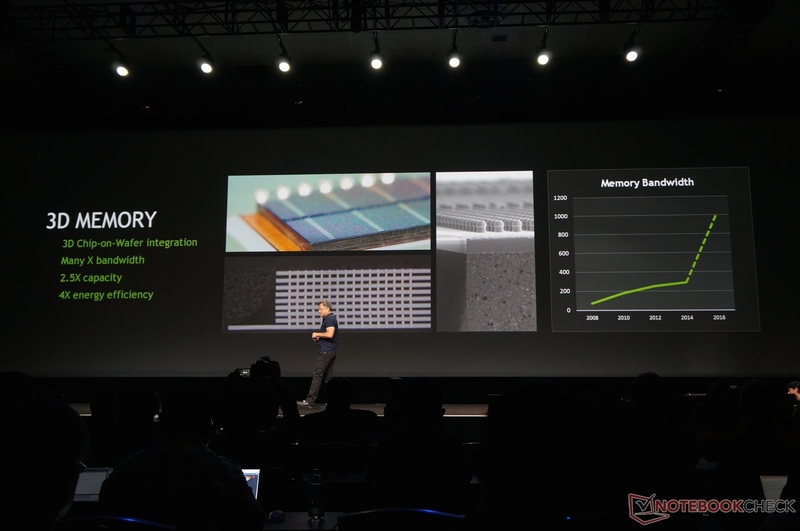 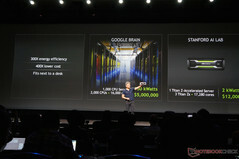 The stacked memory will also expand the memory bus of the GPU by orders of magnitude. 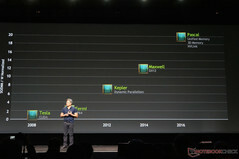 Pascal chips will be designed to fit in modules one third the size of PCIe cards for gaming, cloud and server use. 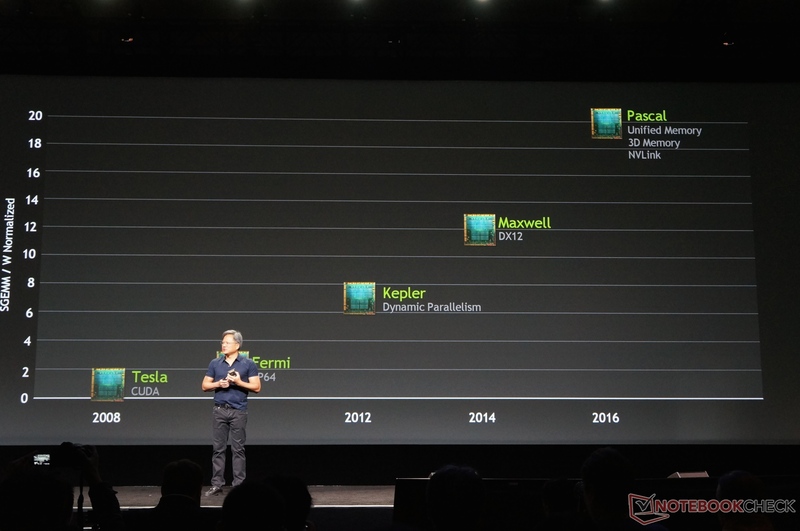 Multichip configurations of Pascal should also exceed previous generations in performance thanks to NVLink. 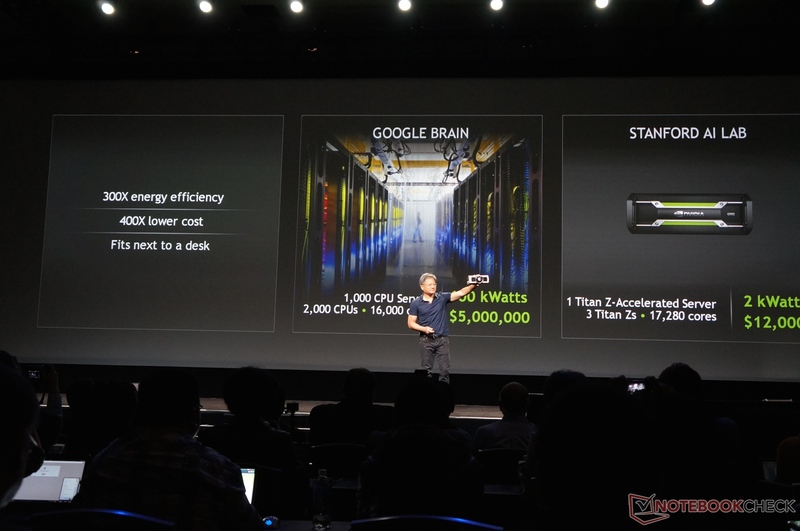 Meanwhile, the new $3000 Titan Z will succeed the Titan Black as king of the desktop GPU. 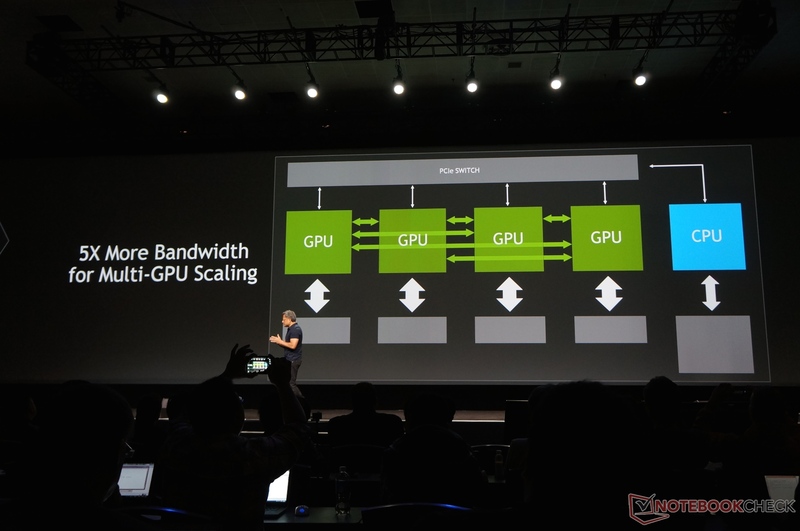 The new GPU utilizes two Titan cores for nearly twice the performance with 5760 CUDA cores, 12 GB VRAM and 8 teraflops of compute. 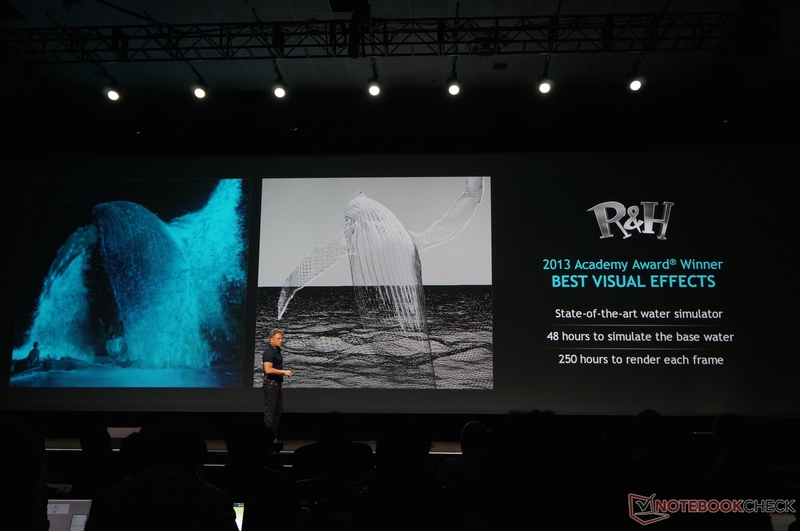 NVIDIA uses the extremely demanding Machine Learning concept and IRAY VCA rendering application as perfect examples for showcasing the raw power of the Titan Z. 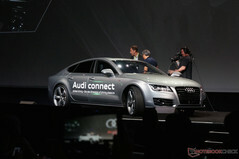 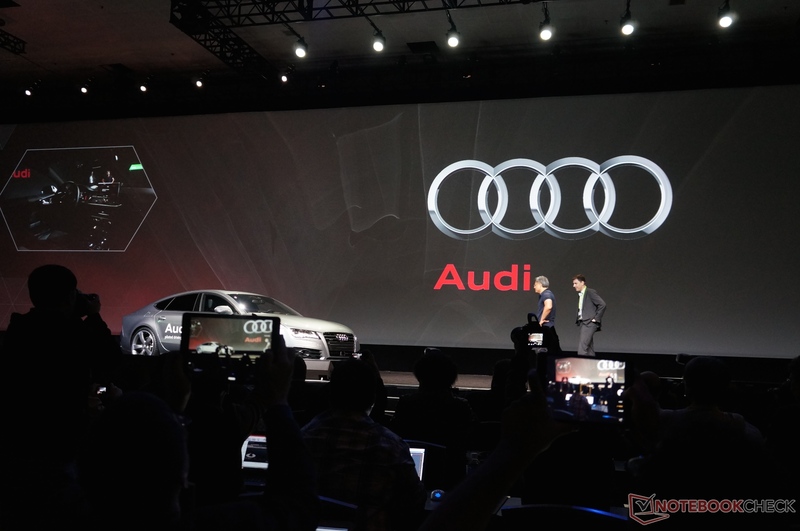 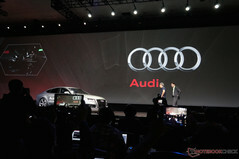 Finally, the Tegra K1 flexes its mobile muscle and ups its class by making an appearance with the Audi A7. 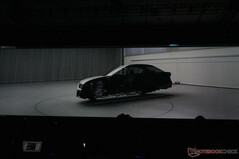 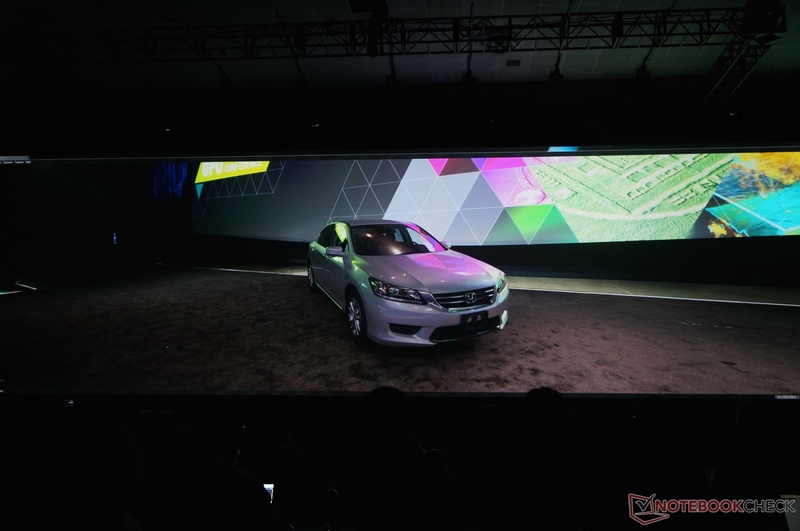 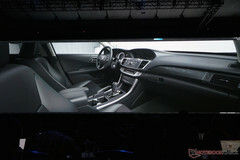 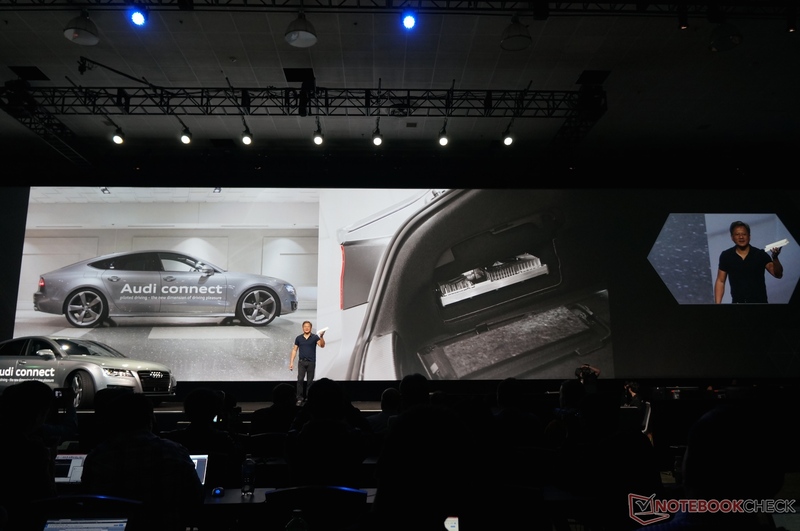 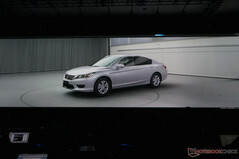 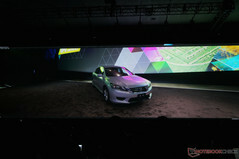 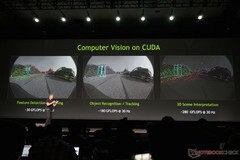 The NVIDIA chip is able to replace a much larger computer on the car for autonomous driving. 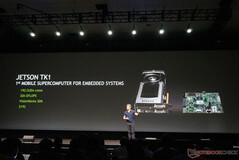 The K1 successor, codenamed Erista, is touched upon as well and is expected to launch by 2015 with an architecture heavily based on Maxwell. 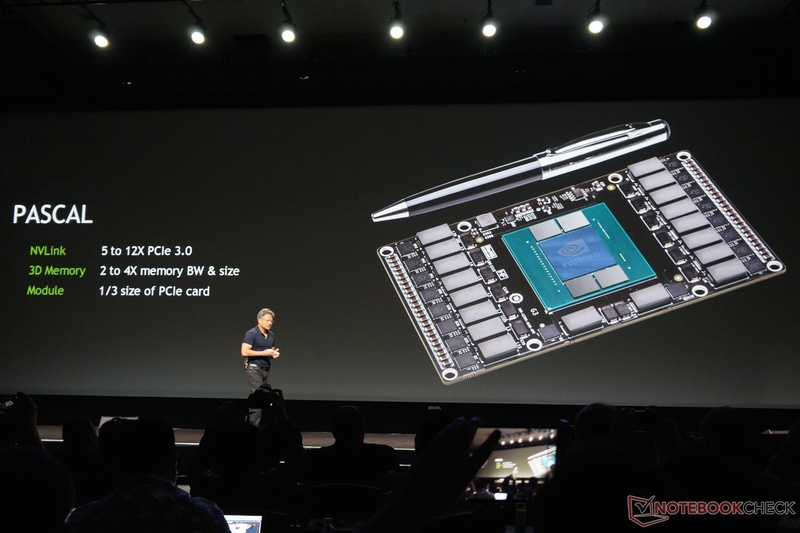 With so many surprises, it seemed a bit odd to end the flood of new hardware by revealing Portal for their handheld Shield gaming platform. 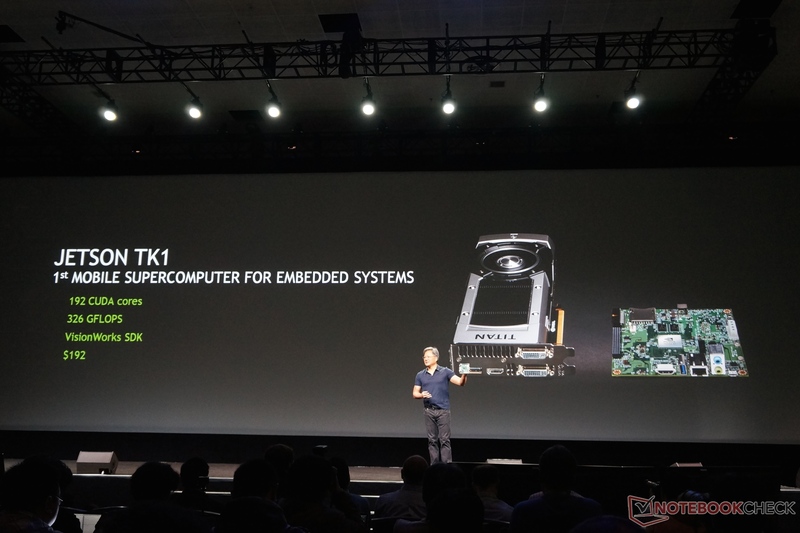 Proudly announcing a 6-year old PC title for the aging Shield device should have probably been left for the beginning of the keynote. 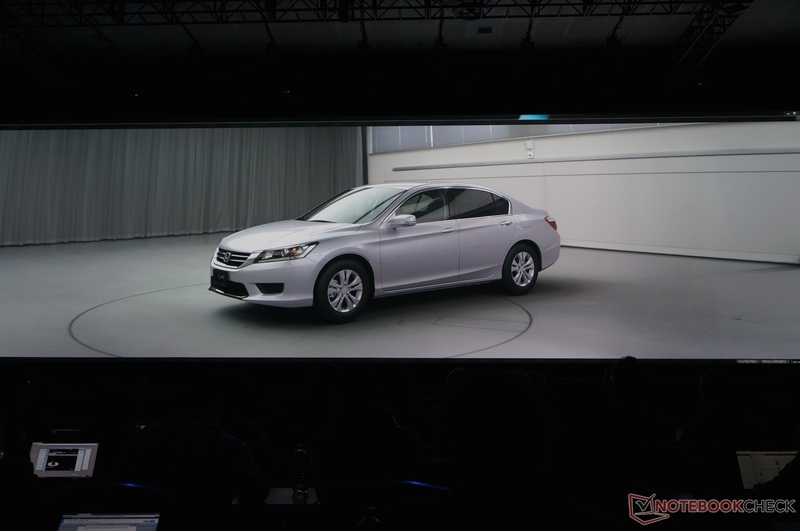 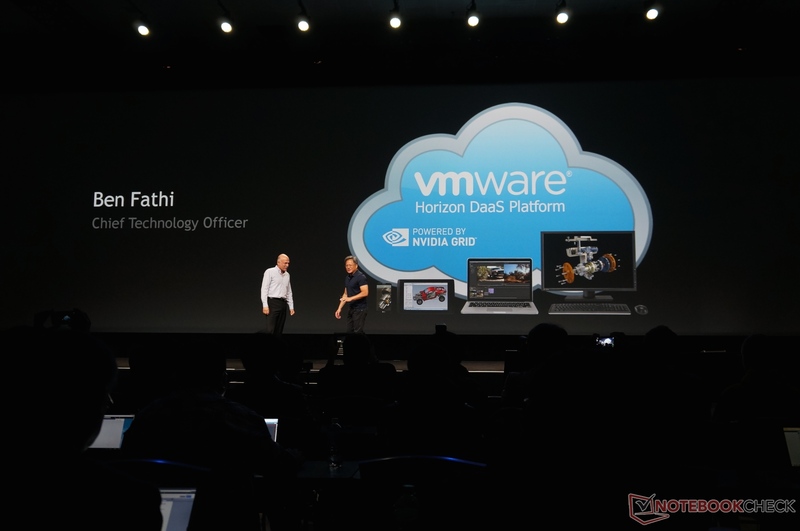 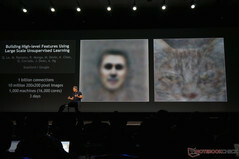 Nonetheless, check out our highlights of the full keynote below. 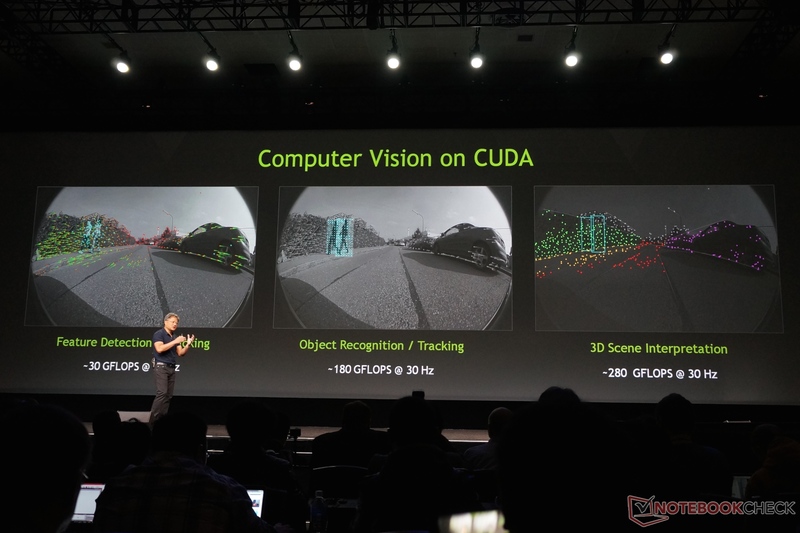 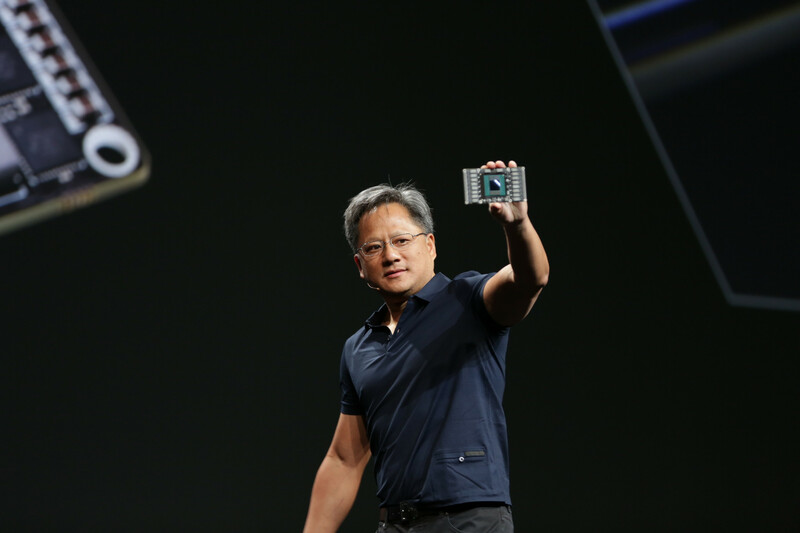 If the hardware and software promises hold true, then this will certainly be a fruitful year for NVIDIA. You can start the image gallery by clicking on the first image below. 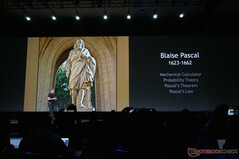 Pascal will be suitable for both gaming and high-end workstations. 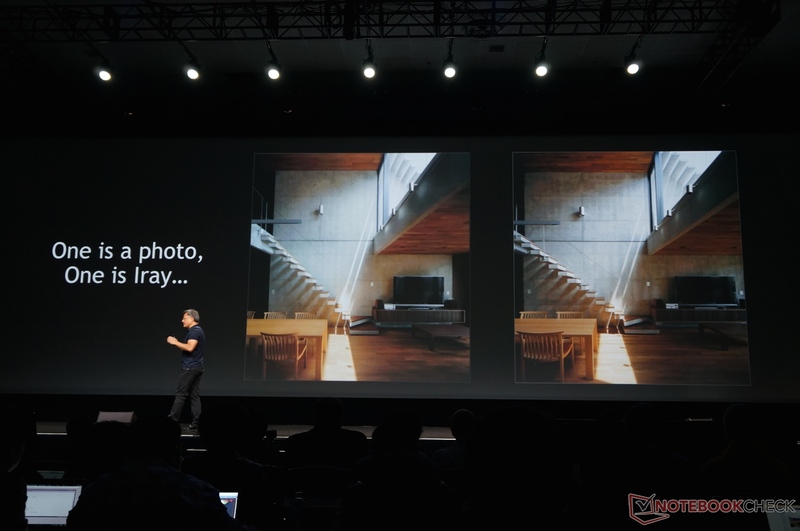 Hopefully for high-end notebooks, too! 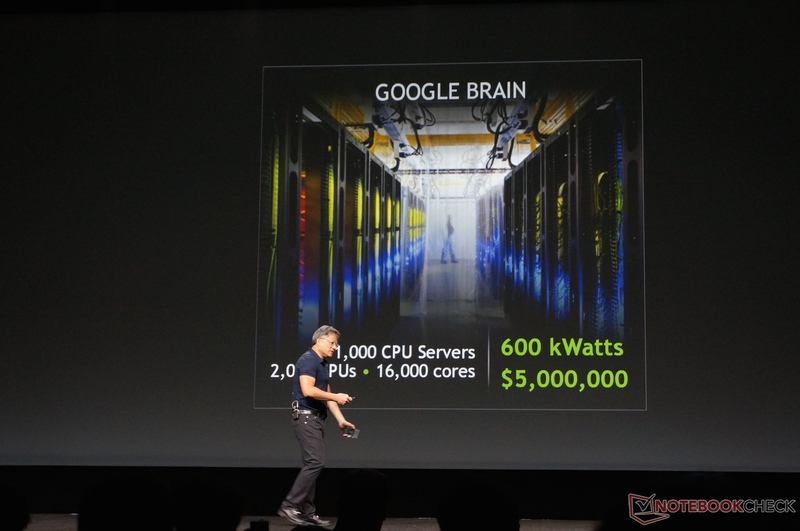 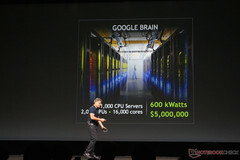 NVIDIA claims that by using their GPUs and CUDA approach, only 3 servers would be needed to output the same amount of work as 1000 of these Google servers. 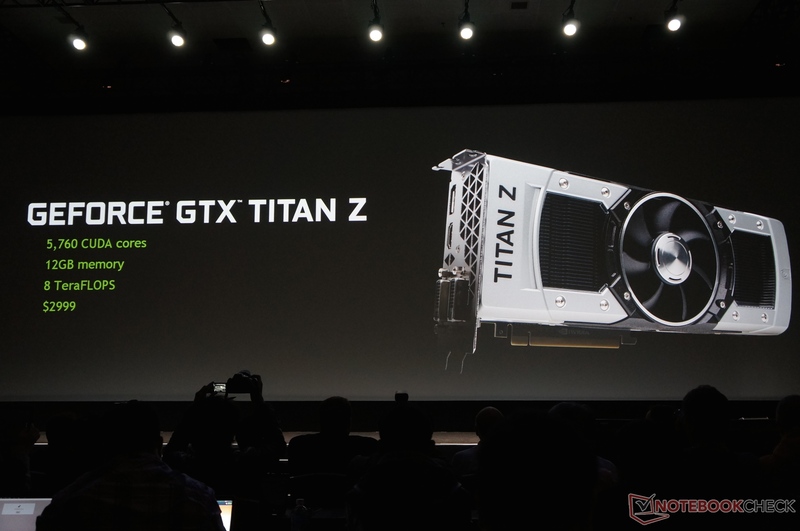 Moving on from Pascal, NVIDIA reveals the Titan Z GPU to succeed the Titan Black due to the success of the original Titan. The Titan Z carries dual Titan cores. 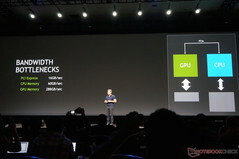 I am one of the founders of Notebookcheck and primarily focus on articles on new technology like GPUs and CPUs. 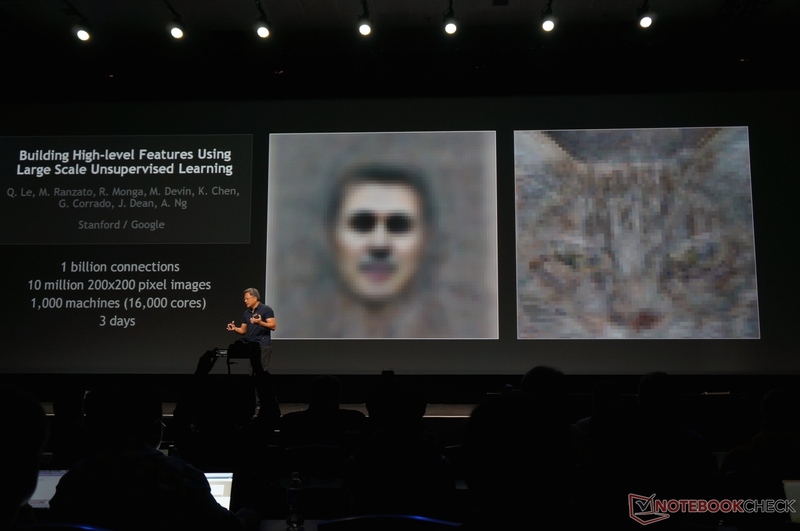 With a scientific background (Ph.D. in computer science) I try to put facts before emotions in my articles. 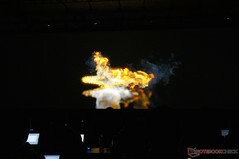 Since 2005 I am now writing and working for Notebookcheck.